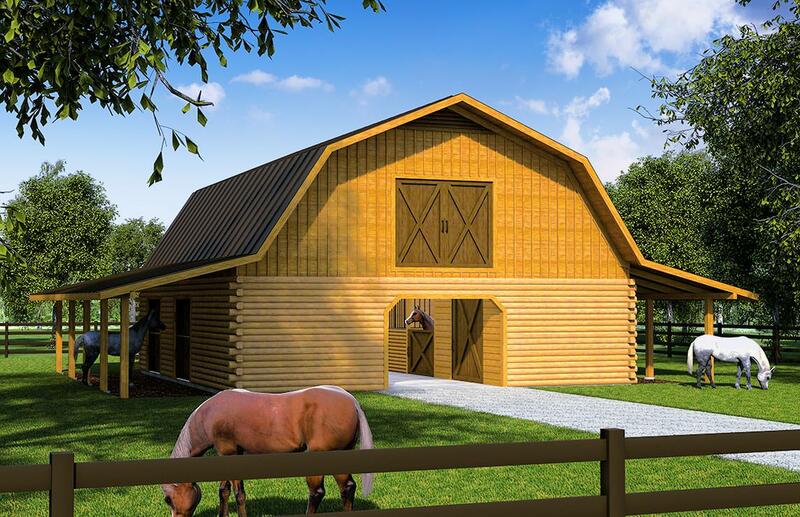 Log barns are the perfect complement for a log home and add useful utility space for equipment and machinery, or they can be finished out for horse or livestock care. A surprising number of people begin development of their property by building a log barn, perhaps planning to build their log home at a later date, or timed for retirement. Some of our log barn designs include an apartment in the loft space, which can serve as a 2nd home, guest quarters, or even a primary residence.